In the 3-bedroom floor plan, the master bedroom is on level 2. In the 4-bedroom floor plan, the master bedroom is on level 3. In some units, the kitchen is at the basement. 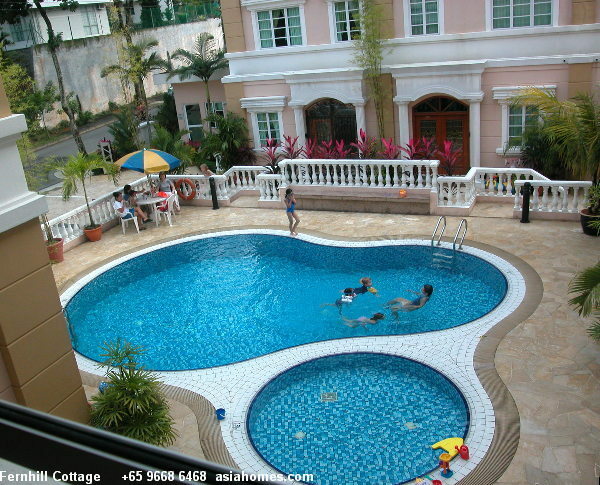 Units facing the pool may have less privacy and more noises from parties or children but mothers can supervise their children at the pool from the residence. Basement car park and security. 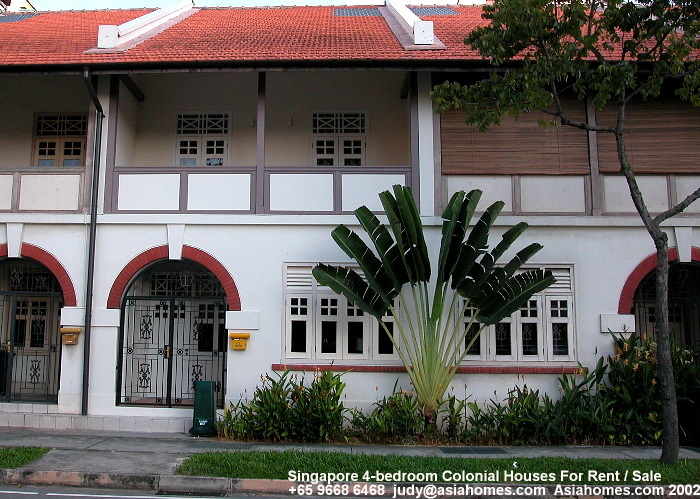 10-min walk to Orchard Road via Orange Grove Road. Selling around S$1,100 per sq. ft when launched. Rent around $6,000 in 2003. Units facing pool have kitchen, living and dining areas at one level. Other units may have a basement kitchen, a living area on level one, a master bedroom on level 2 or 3 and an attic room. Expats who dislike having to climb stairs or basement kitchen will not find such townhouses appropriate for their lifestyle. Townhouses suit expatriates with families and who don't mind steps or lack or garden plot or privacy. 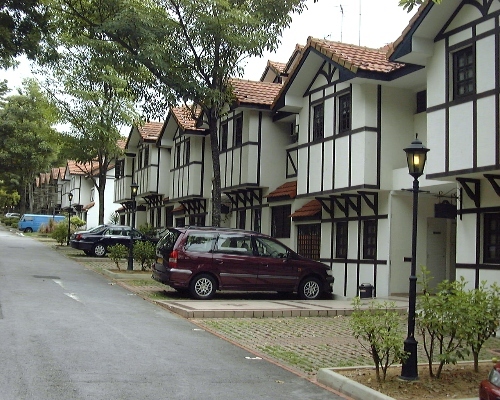 These townhouses provide more living spaces compared to an apartment for the same rentals and seldom appeal to Caucasian expatriates who have no children. 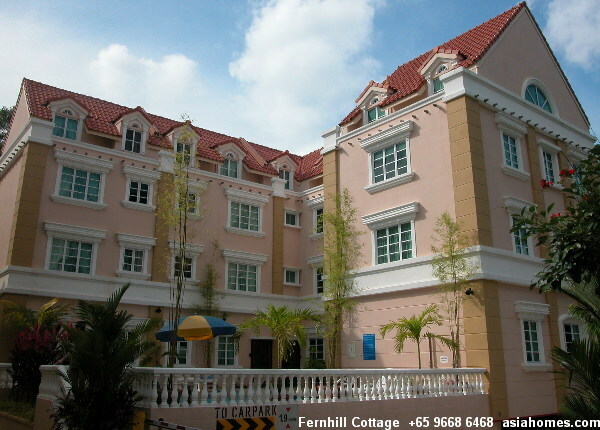 Fernhill Cottage is located in a leafy and tranquil high-class residential area. Dec 25, 2004. FOR RENT/SALE. Rentals have gone up to around $8,000 per month. Other units available at various times as occupancy is full now. Nassim Park townhouses have been demolished. They were 2-storey townhouses with a loft room. They were part of Nassim Park condo with full condo facilities and located at the door step of Orchard Road. Although this development had been demolished, we can show you newer ones. 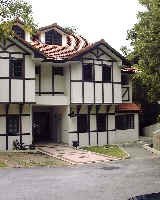 Please e-mail judy@asiahomes.com or tel: +65 9668-6468 for house-hunting.